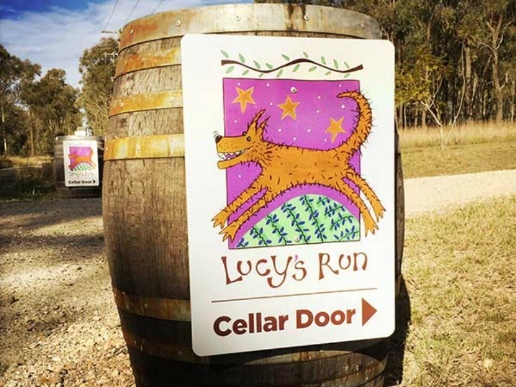 Lucy’s Run Wines is more than a dog friendly winery in the Hunter Valley. 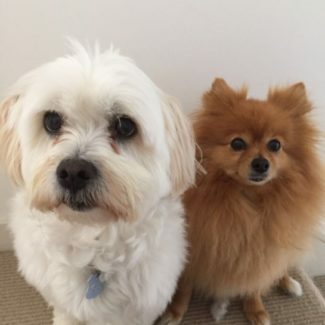 They donate 10% of the profits of their Woof Woof range to Pet Rescue. The picturesque vineyard is in Lovedale, in the beautiful and rightly famous Hunter Valley, New South Wales. Lucy’s Run has a total of 68 acres and was, originally, part of a 2,000 acre cattle farm in the mid/late 1900s. That property (Belbourie) was owned by the local Roberts family who planted a vineyard in the ’60s, but it was pulled out in the mid-80s in favour of breeding cattle. The current vineyard (and olive trees) was planted in 1998 and is sited on the bottom slope of the property, adjacent to Black Creek, and the first vintage (produced by David Hook) was in 2002. And just who were Lucy and Sophie? Well both were dogs that lived here. Lucy had the run of the place (see how that works?! ), and Sophie … well, she’s the name behind the much-loved Sweet Sophie dessert Verdelho. With 9 acres (3.6ha) of vineyards they are only small, but punching way above their weight. They also count themselves very fortunate to have three of Hunter wine country’s best-known winemakers working their magic to take the grapes to the bottle: David Hook, Mike De Iuliis and Nick Paterson. They take great pride in our award-winning Shiraz (two trophies, count ’em! ), Merlot and Verdelho (including our luscious Sweet Sophie). Drop into their cellar shed (yes, shed!) to sample their range, and share a few laughs.